Tired of Dealing With Your Old, Broken Roof? Quality home roofing and gutter solutions are just a call away. A roof plays an important role in protecting your home. Don’t let an old, broken roof damage your house and its interior. 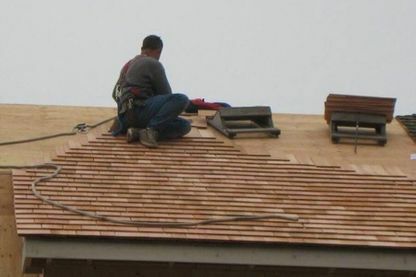 Turn to the experienced professionals at Shelby Roofing. For 30 years, we’ve been functioning as one of the most trusted roofing contractors in Victoria. We’re experts in handling small and big roofing projects. Sean is personally involved in his business, and is both the salesperson and the installer. Not only will he help you select the right shingles for your home but he will also install it for you. Email us to learn more. Shelby Roofing is a locally owned and operated business. Our aim has always been to provide roofing services pertaining to the highest industry standards. This is precisely the reason that we use residential roofing shingles from some of the most trusted brands, such as Malarkey and Owens Corning. When you hire us, you can be assured that we’ll use top-quality roofing materials, which will add to the value of your home for years to come. At Shelby Roofing, in addition to residential roofing, we provide commercial roofing services too. 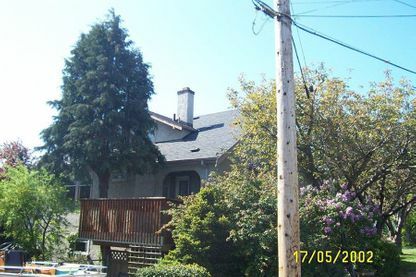 We want to serve both the homeowners and business owners in Victoria with complete roofing services. Whether it’s a new roof installation or reroofing, our team is skilled to handle it all. Also, you can rely on us for installing and repairing gutters, soffit and fascia. Email us regarding your home improvement project. You’ll surely be impressed with our high level of dedication. Shelby Roofing offers free estimates on roofing, gutter, soffit and fascia installation services. Get in touch with us to learn more. Are You Looking for Home Roof Repair Service? We provide complete residential and commercial roofing services. Struggling to Reattach a Loose Gutter System? We’re experts in performing gutter installations and repairs.